She completed her BA, (Law), LL.M at University Law College, Bangalore, Ph.D at University of Mysore, Mysore. She completed NET (UGC) Examination. She practised as an advocated in family matters. Joined as Lecturer in Bangalore Institute of Legal Studies and served for 13 years. Presented around 30 papers at National and International Conference Organized in different parts of the Country. Secured Best Paper Award for paper titled “Live –in- relationship –Impact on the Hindu Marriage” at National Conference organized by JSS Law College, Mysore. She has actively participated in creating legal awareness to the weaker sections of society (rural women) in programmes organised by the Karnataka Legal Services Authority. She has being invited by Karnataka Legal Services Authority to give guest lecture on Women’s Rights at P.U. Colleges and Degree Colleges and for NSS officers in Bangalore. She has served as NSS Officer for Karnataka State Law University, Hubli and organised legal aid Camps and legal awareness programmes in Bangalore. 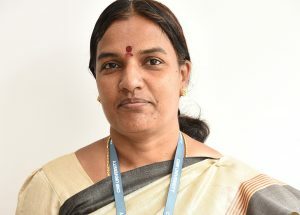 She was appointed as Executive Member for South India by the All India Law Teachers Association (AILTA).She has been appointed as Director for the Karnataka Law Teacher’s Association (KALTA) for North Zone, Bangalore.